But this is the best one in our household. 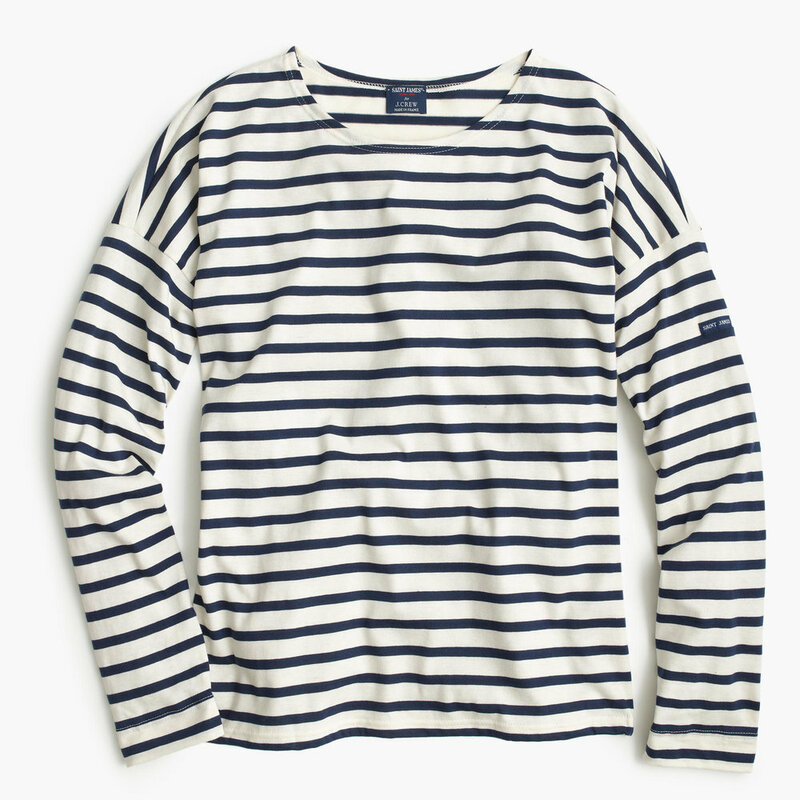 My husband has a Breton that I seriously covet (and sometimes steal). His is from H&M but the cotton is unbelievable soft and the red stripe is that incredible faded French red. He even got compliments on it on the beach this summer from complete strangers. The real problem of course is that we often want to wear our Bretons at the same time and look like complete knobs when we do. Blurgh. I'm pretty picky with my Bretons. I want one in jersey that's not too heavy, but definitely heavier than T-shirt fabric. Boat neck needs to be not so wide as to reveal bra straps — call me old fashioned but I still think that's a faux pas. Fit needs to be loose but not too boxy. Length, mid hip please. The white stripe should be off-white and not too oatmeal in colour. You see, picky. Here are the top four contenders so far. St. James x J.Crew. Not sure about the drop shoulder, could make me look like a linebacker. This one's at Gap but it's prob too slim fit for me. Muji. Because of course Muji. 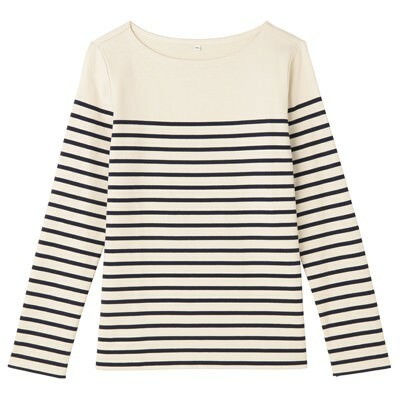 Not sure about the unstriped top part but I do love that it's organic cotton. When I conceived of this post I had intended to provide you with a quick history of this iconic French garment, but when I started digging into research I saw that the story has already been written. So, please enjoy this piece by Lindsey Traumata for Condé Nast Traveller, The History of the Breton Shirt From Sailors to Chanel.